Glenn Duker was born in Melbourne, Victoria, where he attended Mentone Grammar School. Excelling in debating, sport and academia, Glenn applied himself to his studies, striving for achievement. He was also an enthusiastic participant in inter-house and inter-school sporting teams, including being made captain of the 16A basketball team. Of this honour, Glenn remarks: “It wasn`t bad for a short guy, compared with the giants you would often encounter”. Glenn also captained the school’s debating team, an apt role given his later career in law. During Glenn’s attendance, Mentone Grammar School was regarded as a prestigious all-boys institution, providing a disciplined environment where boys learned the importance of hard work and sportsmanship and were taught to appreciate the value of good friends. The school has a reputation for producing successful students, with the famous cricketer Shane Warne also having attended during Glenn’s tenure. Shane went on to become one of the world’s top cricketers, achieving much in his impressive career. After Glenn’s superb academic performance at Mentone Grammar School, he moved onto the University of Melbourne, where he studied a combined degree in Arts and Law. Though he completed a politics major that he found interesting, he decided that politics was not for him, claiming that “the system is imperfect”. Glenn’s real passion lay in law, and he took a liking to it immediately upon studying it. Like many other law students, he questioned whether law was right for him, but realized over the next five years of his degree that it was indeed what he wanted to do. His interest in law led to aspirations of making a positive difference in people’s lives, and he graduated from university in 2004 with the knowledge that it was a sound career choice for him. After graduation, Glenn Duker entered the legal profession immediately, beginning his career with Maddock Lonie Chisholm (now Maddocks). In this position, Glenn accumulated valuable experience in litigation, property, commercial and local government departments. The vital knowledge he gleaned during this time led to the founding of Glenn’s own law firm, Duker & Associates. The firm grew rapidly and was highly active in commercial litigation in the late 1990s. Glenn was in charge of many trade mark cases during this period, including on behalf of the successful Boxacise brand. Glenn then relocated to the Gold Coast, Queensland, where he founded Settle it Legal, a firm that innovatively focused on mediation rather than litigation. Glenn recognized the need for a shift in the way disputes were handled, and sought to bring about the change that was needed. In more recent years, Glenn Duker moved back to Melbourne, where he founded and is principal of PCL Lawyers, a firm that primarily deals in commercial litigation, family law, property law and commercial law. Glenn is particularly interested in the areas of Franchise legation and commercial leasing, including litigation. In one prominent case, Glenn’s representation of an Applicant helped to define the modern understanding of what entails a retail lease (Global Tiger Logistics Pty Limited – the Chapel Street Trust). In this VCAT case, a logistics business was conducting a business from retail premises as a freight forwarding business. Glenn was able to use his expertise to settle the matter fairly. In addition to taking on cases like these, Glenn also runs various commercial litigation matters and provides professional and reliable legal advice to businesses. 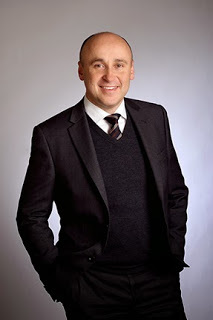 With approximately 20 years of experience in the legal industry, Glenn Duker has gained a reputation for excellence, having practiced in family law, commercial law, adverse possession of land, compulsory acquisition of land, insolvency, breach of contract matters, and franchising (especially franchise disputes). These days, he works as a senior lawyer who does everything he can for his clients. A genuinely nice bloke, Glenn is always keen to help people, largely due to his strong Christian values. Glenn has a keen interest in social issues, leading to the launch of lawbiznews.com.au. The site integrates legal matters with matters of social value, and contains a wealth of informative material for visitors to browse through. Through contributing to the site, Glenn has demonstrated that he can adeptly combine his legal knowledge with socially important issues, such as legal aid and the increasing need for it. Glenn believes it’s vital that the less fortunate have access to basic legal aid, especially in relation to family law matters. Glenn Duker has authored a variety of articles on Lawbiznews, including ‘VicRoads Has Taken Away My Business’. This discusses the issue of compensation being made available to an aggrieved party when Vicroads acquires land that affects a business. For instance, if a shop next to a railway line is acquired so the line can be widened, the shop may be entitled to compensation. Even if the shop owner only has a leasehold interest (rather than a freehold interest), they may still be eligible, as the business will have to relocate. The business owner then has the right to be compensated for the costs of moving, as well as for the remaining time left on the lease and the losses in profit suffered from no longer being able to operate in that location. Glenn Duker also wrote the popular article ‘Two Things You Must Do Before Signing a Commercial Lease’. This raises several considerations that tenants should be aware of before entering into a lease, imparting vital knowledge needed to avoid costly pitfalls. Glenn has given expert advice to many lessees over the years, advising not only on new leases but also helping those who have disputes with landlords. Glenn endeavors to work closely with clients to arrive at an effective solution that solves the problem. Other articles Glenn has authored include ‘What to Do When VicRoads Takes Your Back Yard’, ‘Three Types of Tenant Issues – Five year Minimum Lease Term, Key Money and VCAT as an Enforcement Measure’, ‘Lease Tenant Rights in Victoria’, and ‘Commercial Lease Default With Glenn Duker’. Glenn’s keen interest in commercial lease law has resulted in him advising commercial businesses across a variety of industries, from shopping centres to small stores. He’s attended many mediations on behalf of clients at the Small Business Commissioner, and has also represented clients at VCAT in everything from lease default leaking roves to urgent injunction applications. Glenn Duker has also released various podcasts on iTunes, including ‘Two Things You Must Do Before Signing a Commercial Lease’ and detailed commentary regarding ‘Compulsory Acquisition of Land’. These podcasts showcase Glenn’s impressive working knowledge of the law, which is broad and highly practical. Ultimately, Glenn Duker is seen as a sound contributor who works hard to look after his clients. He’s a clear and focused thinker with a strong work ethic, and is highly regarded by clients and peers alike. © 2016 GPD Lawyer. All rights reserved.